At its core, customer churn rate is a super simple concept: Your churn rate is the percentage of your customers that leave your service over a given time period. Yet, in looking at hundreds of different SaaS companies, we've discovered that there's a wealth of complexity behind this seemingly simple calculation. Some necessary - breaking down your churn into segments, cohorts, etc. Some invented - counting trialers in your churn, not properly counting episodic/seasonal customers, etc. In fact, retention rates have become so complicated, at last count there were 43 different ways public SaaS companies were accounting for the metric. Unfortunately, all of this complexity ends up putting us down a rabbit hole of wasted time and hidden opportunity, because you end up spending more time trying to understand and qualify the metric, rather than actually using the metric to build your business and drive revenue growth. Above all else, you need to understand the foundation of your customer churn rate and the axes through which you and your team can impact that number. To do this, you can't make your churn calculations overly complicated or they'll lose their impact. Let's explore this concept by first walking through the elements of churn, including what churn is specifically used for, before walking through a number of ways to calculate churn, and why you should fundamentally just keep it simple. Churn rate is a business metric that calculates the number of customers who leave a product over a given period of time, divided by total remaining customers. Customer churn is vital to understand for the health and stickiness of a business, but actually calculating it can be unnecessarily complex. Where number of churned customers is how many people have left your service over the period out of the total number of customers you had during the period. That looks pretty straightforward, but (1) how exactly we define those two numbers can greatly affect the output and (2) business-dependent external factors may wreak havoc on our understanding of what number comes out. The total number of customers for a period, say, 1 month, isn’t a well-defined concept because that number will change during the month due to new sign ups and cancelations. Those that signed up prior to the month. These customers will come up for renewal in the current month. New customers during the month. Newly churned customers during the month. The number you use for the “total number of customers” in the denominator will be much different on day 1 than it is on the last day of the month. This will mean that no matter what number you use for the “total number of customers”, it will either be pretty distant from the day 1 number, the day 30 number, or both. New customers typically churn at a higher rate than customers that have stuck around for a bit. That means that if your company is growing, your churn rate will skew higher than it really is. At the moment of the cancelation. We’ve written about how when a customer cancels, they haven’t churned yet. Customers don’t churn until the end of their subscription period arrives and they don’t renew, because they’ve already paid up until the end of their subscription period. If they’ve only canceled, you still have a chance to win them back before their subscription ends. "Not knowing when churn happens is like not knowing when the new iPhone comes out. You're out of the loop." By that definition, it’s not actually possible for new signups to churn in their first month, and this does away with the issue of how new customer growth can distort the churn calculation. New signups wouldn’t be included in churn or the total number of customers for their first month. Some call the moment of cancelation as churn so that they can have the most current churn number as possible. The issue is that churn is fundamentally a lagging indicator and it shouldn’t necessarily be looked at in real-time. When we look at a churn rate of, say, 10%, we’re implying that a churn rate of 1/10 is equivalent to a churn of 1,000/10,000. Early on and under conditions of hyper growth, our calculated churn rate is just as much a product of our small sample size as it is a number that’s representative or predictive of how well our service retains customers. We don’t have much data in terms of number of cohorts and how the cohorts behave over time. This alone can cause wild fluctuations that make it difficult to compare churn rates on a monthly basis. Under these conditions, it’s important to recognize the limitations of the inferences you can draw from your churn rate. You may be looking at customer churn over the period of a week, month, quarter, or year. Also, you want your calculation to be robust with respect to the timeframe chosen. You don’t want your calculation to go from generally correct to wildly incorrect when you move from a monthly frame to a quarterly frame. You may have a prosumer plan and then an enterprise plan. They’re going to have wildly different churn rates, perhaps with a difference as great as 15% churn monthly vs. 0%. An aggregated number dissolves the differences between your customers, and that can lead you to a misunderstanding of your churn number if you just take it at face value. For instance, growth in a higher churn customer segment could be mistaken for increased churn overall, and that could lead you down the wrong path of trying to fix a non-existent churn problem. If your business varies based on the season, your churn may show changes that correspond with the seasonality of your business that might be hard to understand until you’ve gone through several cycles. There are a number of other external factors that are likely to be business-specific. What’s important for how you calculate churn is that you apply the calculation consistently so that you can compare not only from month to month but year to year as you grow. Cramming all of those different use cases into one number is impossible. That’s why your churn rate is a starting point, not an end-point, for your analysis. Know what problem you’re trying to solve, take a deep-dive into your data, and do cohort analysis and customer segmentation as needed. The how, why, and who of churn that your headline number leads you to is what’s important about your overall churn rate. When calculating churn you’re doing so in order to achieve a greater understanding of your customers, and why they leave your product. Improve that, and you’ll improve retention rates to strengthen your business for the long-term. To calculate your churn rate, divide churned customers over a period of time by the number of customers you had at the start of that period. While overly simplistic, this allows you to focus on churn by cohort and analyze the cause — instead of debating between overly complex methods to analyze churn. Steve Noble, a data specialist at Shopify, outlined 4 basic ways to calculate churn: (1) Simple, (2) Adjusted, (3) Predictive and (4) the method he ultimately settled on. We’ll walk you through these increasingly complex calculations. ChurnedCustomers is the number of customers that churned in the time window. n is the number of days in your chosen time frame. When calculating over a month, n = 28, 29, 30 or 31. Customers is a list of the numbers of customers on any given day i, 1 through n. For example, Customers_1 is the total number of customers you had on the first day of the window. You’re dividing the total number of churned customers over the period by the number of customers you had on the first day of the period. The main pro' of the simple version of calculating churn is its simplicity. The churn rate formula is easily understandable and quickly calculable. You only need to know 2 quick numbers to figure out your churn rate for the month, and all you need is those two numbers for each month to be able to compare month to month churn. The problem with this simple calculation though is that it has a hard time dealing with significant growth. When you have a lot of growth, both your churn and total customers can go up. If your total customers goes up more, your churn rate will go down, even when you have more customers churning out of your product than the previous month. If you’re an established company with a significant customer base and stable growth month on month, this isn’t an issue. But if you’re a new company with substantial new customers each month, this can lead to a strange interpretation where you can lose more customers per month, but your rate will get better. 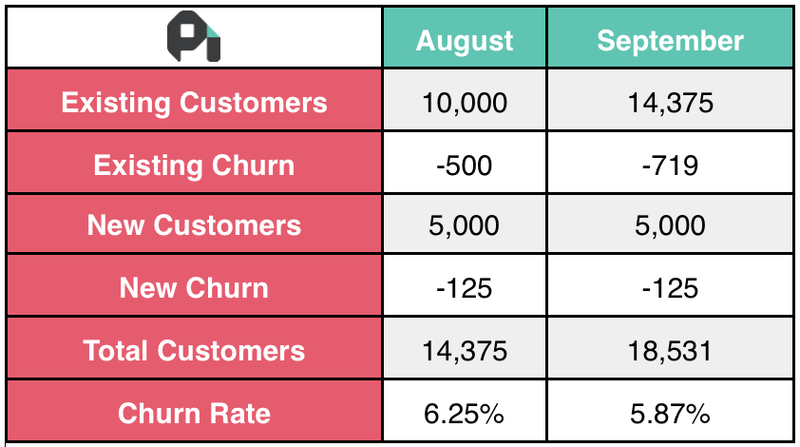 To calculate churn rate, begin with the number of customers at the beginning of August (10,000). In this example you lose 500 (5%) of these customers, but acquire 5,000 new customers throughout the month, of which 125 (2.5%) churn out. This gives you a churn rate of 6.25% for August. You're then starting September with 14,375 customers. You see exactly the same behavior this month, with 5% (719) of existing users churning, 5,000 new customers joining, and 2.5% (125) of those customers churning. Your simple churn rate for September comes in as 5.87%. Wait, what happened? You’ve seen the same behavior, 5% of existing customers and 2.5% of new customers churning, in both months, but the outcome is two completely different churn rates. It looks like your churn rate has gone down, but the underlying behavior has remained the same. Your high growth has distorted your calculation. In August, 125 churned customers are added to the numerator, but the 5,000 new customers that join in August didn't get added to the denominator—which means that the churn rate is artificially high. In the following months, the growth is less proportionally to the existing customer count, so the effect is lessened. To account for significant monthly growth, we can take the midpoint of the customer count for the month, rather than using its value on the 1st of the month. Here we’re dividing the number of churned customers by an adjusted average of the number of customers throughout the window. This approach manages to deal with the growth issue by normalizing changes in total customers over the time window. Now you have a more stable platform to base your churn rate on, with the time window for your total customers the same as your time window for churn. However, though this approach to churn rate calculation does deal with the growth issue, it fails to scale with different time windows. Using the same calculation and the same data, you’d get very different answers for daily, weekly, monthly, and quarterly churn. Now we see the churn rate as the same, even with a different number of customers at the start of the month. Bingo! Problem solved. We can all go home for tea and medals. Not quite so fast. The main problem with this approach is that it makes assumptions about the data. If you calculate this over the course of 3 months you come out with a churn rate of 15.52%. Divide this across the 3 months and you get 5.17%, very close to the individual monthly customer churn rates. So far so good. But what if you don’t have exactly the same numbers across each month? Let’s make August a bad month for our imaginary B2B SaaS company. This time, it only gets 100 new customers, 2 of which churn out. 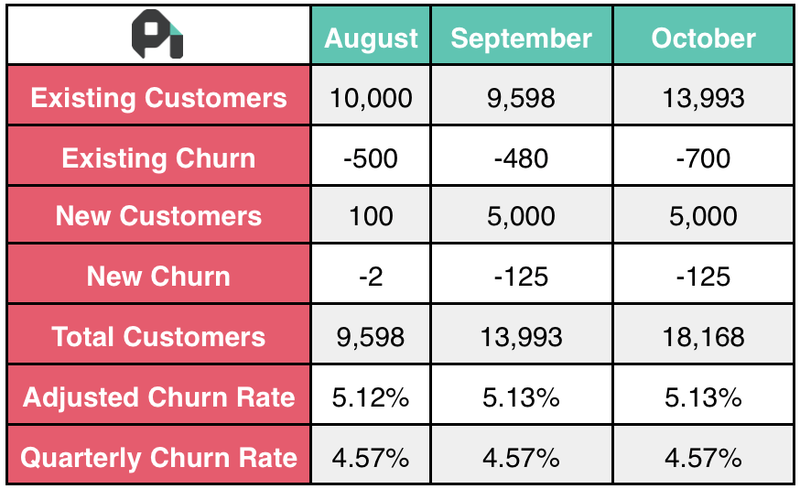 The behavior is the same in terms of churn (5% of existing customers and ~2.5% of new customers), and when calculated individually each month shows the same churn rate of 5.13%. But when calculated as a quarter, you get a 3-month churn rate of 13.72%, which divided across each month is 4.57%. Now our monthly churn rates no longer tally with our quarterly churn rate, even though they use the exact same data. This is because we’ve changed the time window we’re calculating. This approach assumes that churn is spread evenly within the time period, with a linear distribution. But churn is never this helpful. A good churn rate ratio should be able to expand or contract well with the length of time it measures, and still deliver comparable results. Any good churn rate calculation should give some actionable advice. In this example, Shopify has tried to incorporate a predictive element into the equation. They’re trying to determine a weighted average churn rate, so that rate*customers will predict the likely churn rate on any given day. InactiveCustomers is an array of how many customers active on day i are inactive on day i+n, i.e. one month later. 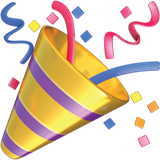 If you have 1000 customers on September 1, you then look forward in time to see how many of those 1000 have churned on October 1. You sum that up, then divide by the sum of total customers in September. It seems awesome to be able to predict churn. Having a weight that you can multiply with customers to get predicted churn would be great for planning your finances. Who doesn’t want to do that? This requires two months of data to run one month’s calculation. In order to determine your churn rate for this month, you have to wait until the end of next month. That isn’t good for a metric that is supposed to keep you up-to-date on your company’s success. If you have a number of accounts cancel in September, you won’t have this information until October. The flip of this is that when you do get to the end of October and have a churn rate, it’s now from a month ago. It’s not current. You can no longer report churn rates to your employees for the prior month, you are instead telling them what happened a month ago. This approach has all the same problems as rolling metrics, and you know you should stay away from those. 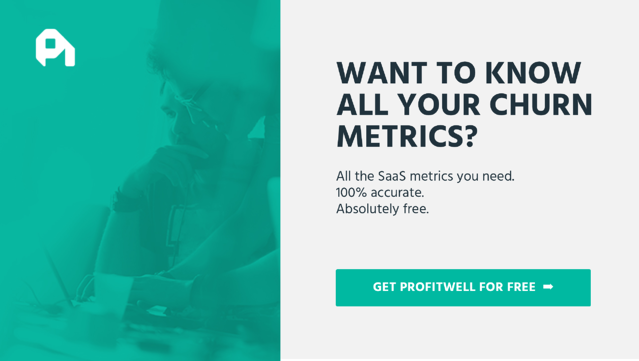 Calculations in SaaS metrics are supposed to take all your data and transform it into easily understandable, actionable numbers. This calculation makes your numbers more complicated and less actionable. Instead of roughly taking the average of the first day and last day of the month as we do with the Adjusted Way, we can take the average of every day in the month to get a more accurate calculation. You divide your number churned by the average of your customer count between days 1 and n.
This deals with the issues that plague the other variations. You can use it in periods of high growth, and it scales nicely across different time windows. 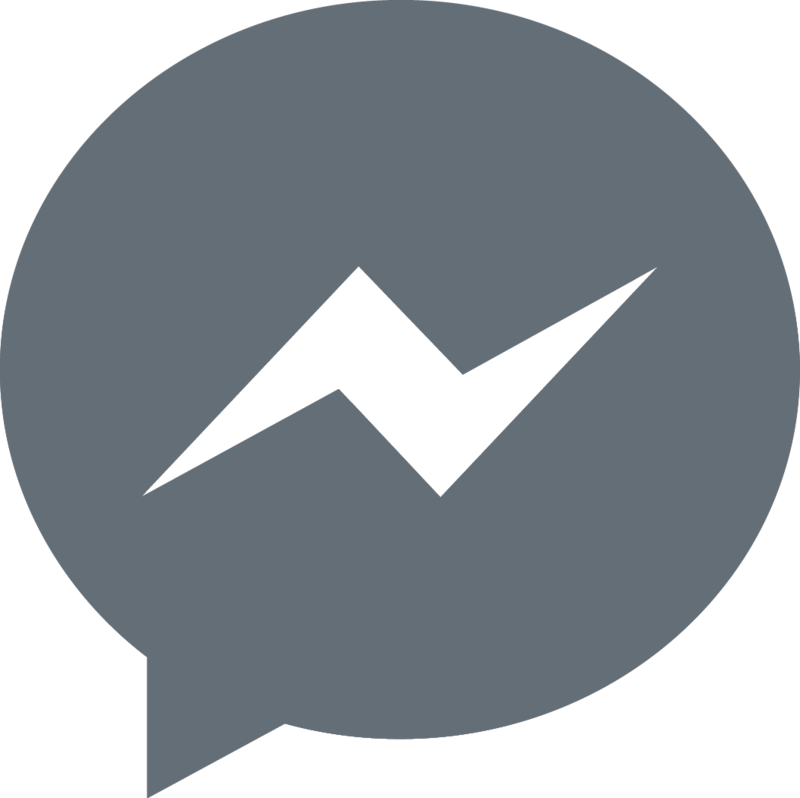 You can also use it in a timely manner, getting an up-to-date churn rate. But there are always going to be variations in your numbers that a single calculation can’t account for. Newer customers churning at a higher rate the older customers, differences in cohorts, in plans, in size of account. None of these are captured in this formula, and by using it, companies could have a false sense of security that the number they get each day, week, month, or quarter is the whole story of their churn. When you reduce complexity on your churn calculation, you get the following benefits, which can’t be underestimated. It’s easily understandable — anyone in your organization can understand that number. This is absolutely critical for a key metric. If no one understands your number, they can’t act on it. It’s easily comparable — the more complexity you add and the more cases you attempt to account for, the harder it will be to compare your churn calculation across different periods of time. You create consistency by taking the simple and straightforward path. It serves as a starting point for deeper analysis — you’re able to easily comprehend what your number accounts for, what it doesn’t, and where you need to dig in to learn more. With more complex calculations, your first step will reminding yourself how to calculate it. That’s why, at ProfitWell, we use the Simple Way with a monthly time window. We keep it simple so that you can spend your time taking a deeper dive on the number, analyzing churn by cohort, and so on—not spending it trying to calculate how we arrived at our number. This method has worked for thousands of our customers, and it can work for your B2B SaaS company (or any other subscription business) as well. All of your top-line metrics are just headlines. They’re not the story. The story is buried deep within the numbers. You need to be looking in depth at the how and why of your churn rather than trying to account for every variable within your churn rate calculation. Your deep-dive into the numbers is where you’ll actually find out about your business, and how you’ll be able to take actionable decisions to improve customer retention rate.